The name says it all! St. George All Purpose Vodka is the perfect building block for your favorite vodka cocktails. Bartlett pears (yes, pears) are the secret here. Why? Thirty-three years of distilling Bartlett pears has shown us just what this gorgeous fruit is capable of—especially when put through our Holstein stills. 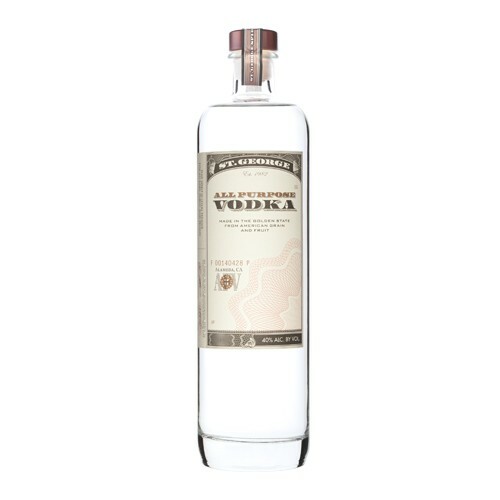 Using the same flavorful and aromatic pears here as in our flagship pear brandy makes perfect sense, delivering a spirit with no overt pear flavor but with substantial body and subtle floral notes—and creating a vodka that is uniquely St. George.